Viral hepatitis is an infection that causes liver inflammation and damage. Inflammation is swelling that occurs when tissues of the body become injured or infected. Inflammation can damage organs. Researchers have discovered several different viruses that cause hepatitis, including hepatitis A, B, C, D, and E.
Conferenceseries LLC ltd Organizes 1000+ Global Events inclusive of 300+ International Conferences, 500+ Workshops and 200+ Symposiums every year across USA- Europe & Asia with support from 1000 more scientific societies and publishes 400+ Open access journals which contain over 30000 eminent personalities, reputed scientists as editorial board members. With members from around the world focused on learning about Hepatitis and Liver Diseases; this is your best opportunity to reach the largest assemblage of participants from the Hepatology community. Conduct presentations, distribute information, meet with current and potential scientists, make a splash with new developments and research, and receive name recognition at this event. World-renowned speakers, the most recent techniques, developments, and the newest updates in Hepatitis and Liver Diseases, treatment and surgery involved are hallmarks of this Hepatitis conference. Hepatitis Conference 2019 welcomes Medical Hepatologist specialists, gastroenterologists, pathologists, Liver oncologists, Surgeons, Research scholars, Industrial professionals and Student delegates from biomedical and healthcare sectors to be a part of it. 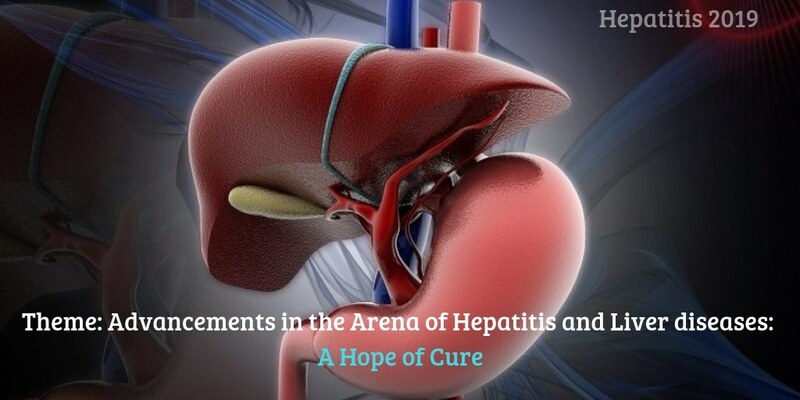 This Hepatitis Conference aims to bring together academicians, doctors, researchers, and industry personnel to meet, discuss and share innovations, research, and ideas on liver treatments for a greater development and more effective treatments. Liver diseases conferences welcomes you to attend 7th World Congress on Hepatitis and Liver Diseases to speak on a theme “Advancements in the Arena of Hepatitis and Liver Diseases: A hope of Cure” during May 15-16, 2019 Osaka, Japan. The Hepatitis Conference is going to cover all aspects of scientific and technical advancements in the field of medical science, environmental science, and pharmaceutical science. Viral infections of the liver that are classified as hepatitis include hepatitis A, B, C, D, and E. A different virus is responsible for each type of virally transmitted hepatitis. Hepatitis A is always an acute, short-term disease, while hepatitis B, C, and D are most likely to become on-going and chronic. Hepatitis E is usually acute but can be particularly dangerous for pregnant women. USA and Canada: American Gastroenterological Association, Canadian Association of Gastroenterology, North Carolina Society of Gastroenterology, Canadian Society of Gastroenterology Nurses and Associates, Florida Gastroenterological Society, Ontario Association of Gastroenterology, Alabama Gastroenterological Society, Comparative Gastroenterology Society, American Neuro-gastroenterology and Motility Society. 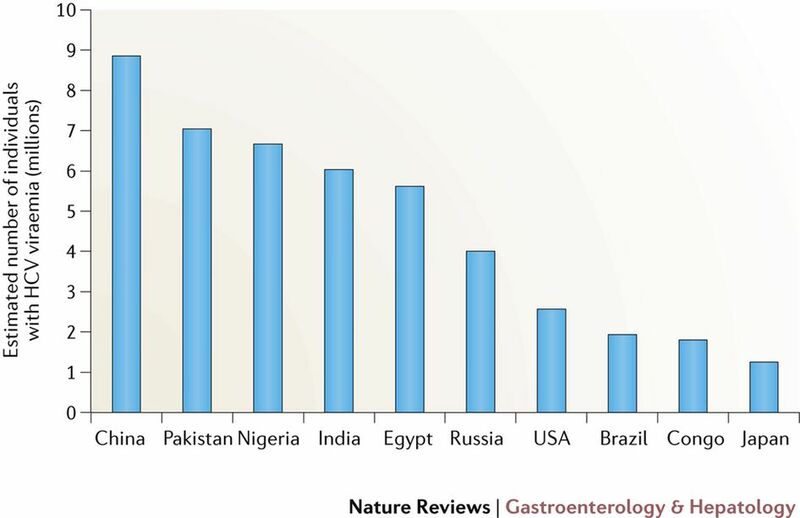 Asia-Pacific and Middle East: Gastroenterological Society of Australia, Gastroenterological Association of Thailand(GAT), Indian Society of Gastroenterology, Philippine Society of Gastroenterology, Society for Gastroenterology & Hepatology in Nigeria, Gastroenterological Society of Taiwan. The disclosure of hepatitis infection (HV) has prompted the advancement of serological tests for the discovery of a counteracting agent to this newfound infection. Gatherings at more serious danger of obtaining HV contamination incorporate intravenous medication clients, hemodialysis patients, hemophiliacs, and blood transfusion beneficiaries. The screening of blood givers for hostile to HV has incredibly diminished the rate of post-transfusion hepatitis. One of the real issues with HV disease is the advancement of endless hepatitis in 50 to 60% of cases, which could prompt cirrhosis and hepatocellular carcinoma. Stem cells are biological cells found in all multicellular organisms that can divide (through mitotic cell division) and differentiate into a diverse range of specialized cell types and can self-renew to produce more stem cells. Stem cells can be taken from a variety of sources, including umbilical cord blood, bone marrow etc. Stem cells provide new ways to treat chronic liver disease. To produce new hepatocytes in the laboratory embryonic stem cells or induced pluripotent stem cells might be used for those patients whose liver has lost the capacity to regenerate. Stem cells are used for transplantation purpose. Bone Marrow transplantation is very useful to treat disorders. Hepatotoxicity implies chemical-driven liver damage. The Drug-Induced Liver Injury (DILI) is a cause of acute and chronic liver disease. The liver assumes a focal part in changing and clearing synthetic substances and is defenseless to the danger from these specialists. Certain restorative specialists, when taken in overdoses and here and there notwithstanding when presented inside helpful extents, may harm the organ. Other chemical agents, such as those used in laboratories and industries, natural chemicals (e.g., microcystins) and herbal remedies can also induce hepatotoxicity. Chemicals that cause liver injury are called hepatotoxicity. The improvement of new treatments for liver infections stays testing because of various variables, not the minimum of which is the uncommon and patho-organically mysterious nature of the illness. Be that as it may, with on-going advances in the comprehension of potential unthinking underpinnings and parallel experiences, new potential targets, and novel remedial operators are being assessed; we trust these can possibly prompt the foundation of sheltered and compelling medicinal treatments and consequently better results in treating liver illnesses. Hepatic irritation is a typical finding amid an assortment of liver sicknesses including drug-prompted liver poisonous quality. The provocative phenotype can be credited to the intrinsic safe reaction produced by Kupffer cells, monocytes, neutrophils, and lymphocytes. The versatile invulnerable framework is additionally affected by the intrinsic resistant reaction prompting liver harm. A liver resection is the surgical removal of all or a portion of the liver. It is also referred to as a hepatectomy, full or partial. A complete liver resection is performed in the setting of a transplant a diseased liver is removed from a deceased donor (cadaver). A living donor may also provide a piece of liver tissue which is procured through a partial hepatectomy. The procedure may be performed through a traditional open procedure or using minimally invasive techniques. Paediatric liver maladies are not extremely normal, and numerous paediatric residency programs don't have ensured hepatologists on the staff group, which may influence the solace level paediatricians to have with dealing with youngsters with liver illnesses. In the articles introduced here, we look to feature the changed liver infections that could be experienced in the general paediatric world, and also liver transplantation—when it turns into the main treatment alternative to fix the liver ailment. Hepatocellular carcinoma (HCC) is the most widely recognized kind of essential liver growth in grown-ups and is the most well-known reason for death in individuals with cirrhosis. It happens in the setting of incessant liver aggravation and is most firmly connected to endless viral hepatitis contamination (hepatitis B or C) or introduction to poisons, for example, liquor or Aflatoxin. Certain ailments, for example, hemochromatosis and alpha 1-antitrypsin lack, particularly increment the danger of treating HCC. Similarly, as with any malignancy, the treatment and forecast of HCC differ contingent upon the specifics of tumor histology, measure, how far growth has spread, and in general wellbeing. Liver-coordinated high measurements chemotherapy developed from an exceedingly intrusive open surgery to an insignificantly obtrusive strategy known as percutaneous hepatic perfusion (PHP). Amid PHP, three catheters are put percutaneously through standard interventional radiology strategies. The liver is incidentally disconnected from the body's circulatory framework, amid which time a 30-minute implantation of the chemotherapeutic specialist melphalan hydrochloride specifically to the liver happens. The blood is gathered as it leaves the liver for filtration by restrictive channels preceding returning it to the patient. Imaging is essential for correctly diagnosing biliary tract issue and is basic for distinguishing focal liver wounds (eg, ulcer, tumor). It is constrained in distinguishing and diagnosing diffuse hepatocellular ailment (eg, hepatitis, cirrhosis). Liver ultrasonography and attractive reverberation (Magnetic Resonance) imaging are progressively utilized for recognizing, describing and evaluating the reaction to the treatment of central and diffuse liver infections. Ultrasonography remains the first-line examination, however, it has as of late increased expanding capacities because of the usage of Dynamic Complexity Improved (DCE) ponders and elastography. Homegrown medications have turned out to be progressively famous and their utilization is across the board. Authorizing controls and pharmacovigilance with respect to homegrown items are as yet inadequate and obvious verification of their viability in liver illnesses is meager. All things considered, various herbals indicate promising movement including silymarin for antifibrotic treatment, Phyllanthus amarus in unending hepatitis B, glycyrrhizin to treat perpetual viral hepatitis, and various homegrown blends from China and Japan that merit testing in proper investigations. The term hepatic encephalopathy alludes to the disorder of neuropsychiatric unsettling influences that may emerge as a complexity of intense, subacute, or interminable hepatocellular disappointment. The disorder is related with expanded entryway fundamental shunting of gut inferred constituents of gateway venous blood, because of their weakened extraction by the coming up short liver and, in many examples, their section through intrahepatic or potentially extrahepatic gateway foundational venous insurance channels. Intense viral hepatitis is the most widely recognized reason for jaundice in pregnancy. The course of most popular contaminations isn't influenced by pregnancy. Jaundice is a trademark highlight of the liver malady. The clinical signs and side effects are unclear between the different types of viral hepatitis, subsequently, the differential determination requires serologic testing for an infection particular conclusion, and the finding is by a biochemical appraisal of liver capacity. Nourishment has for quite some time been perceived as a prognostic and helpful determinant in patients with the perpetual liver malady. Exact evaluations of health status are not easily gotten in patients with cirrhosisfundamentally because of the inconsistencies in fluid homeostasis and compartmentalization, protein assimilation and bone exhibiting and remineralization that depict this condition. This makes it difficult to perceive those in threat for debilitated wellbeing and to survey the necessity for, and sufficiency of, nutritious intercession. Hepatology is the branch of science that consolidates the investigation of a liver, gallbladder, biliary tree, and pancreas and also the administration of their issue. Albeit customarily considered a sub-forte of Gastroenterology, a quick extension has driven in a few nations to specialists practicing exclusively on this zone, who are called hepatologists. Hepatitis is an aggravation of the liver tissue. A few people have no indications though others create yellow staining of the skin and whites of the eyes, poor craving, regurgitating, tiredness, stomach agony, or the runs. Hepatitis might be impermanent (intense) or long haul (incessant) contingent upon whether it goes on for not exactly or over a half year. Intense hepatitis can in some cases resolve without anyone else, advancement to unending hepatitis, or infrequently results in intense liver disappointment. After some time the constant shape may advance to scarring of the liver, liver disappointment, or liver tumor. The most well-known reason for hepatitis worldwide is infections. Different causes incorporate overwhelming liquor consumption, certain pharmaceuticals, poisons, different contaminations, immune system ailments, and non-alcoholic steatohepatitis (NASH). There are five principal kinds of viral hepatitis: type A, B, C, D, and E. Hepatitis A and E are predominantly spread by debased sustenance and water. Hepatitis B is predominantly sexually transmitted, yet may likewise be passed from mother to infant amid pregnancy or labor. Both hepatitis B and C are normally spread through tainted blood, for example, may happen amid needle sharing by intravenous medication clients. Hepatitis D can just taint individuals officially contaminated with hepatitis B.
Hepatology is a branch of science that deals with the prevention, diagnosis, and treatment of liver diseases. A medical professional who practices Hepatology is Hepatologist. Hepatology conveys the effects of clinical and test research in, liver science, especially with trial therapeutics. Topics include incorporating immunobiology, pathogenesis, and treatment of dangerous viral diseases. Conference Series llc Ltd. welcomes all the Medical Hepatologists, Surgeons, Immunologists, Pathologists, Liver Oncologists, Research scholars, Industrial Professionals and Student Delegates from Biomedical and healthcare sectors to be a part of the esteemed Liver Congress 2019. Advanced Diagnostic and therapeutic equipment along with the novel drugs for the Hepatitis & Liver diseases are an integral part of the Hepatology research, hence it will be an excellent amalgamation of academia and industry as it involves every aspect of empirical and conceptual thinking in exploring new dimensions in this field. It is open to all types of research methodologies both from academia and industry. Japan is a leading nation in scientific research, particularly in fields related to the natural sciences and engineering. The country ranks second among the most innovative countries in the Bloomberg Innovation Index. Nearly 700,000 researchers share a US$130 billion research and development budget. The amount spent on research and development relative to the gross domestic product is the third highest in the world. The country is a world leader in fundamental scientific research, having produced twenty-two Nobel laureates in either physics, chemistry or medicine and three Fields Medalists. Meanwhile, Japan already features the world’s second largest markets in pharmaceuticals and medical devices, behind only the United States. This intersection of aging, depopulation, and rich markets creates a laboratory for how the rest of the world will handle the economic and societal changes of aging. The 7th World Congress on Hepatitis & Liver Diseases exhibit the products and services from commercial and non-commercial organizations like Drug manufacturers, Clinical Trial Sites, Management Consultants, Chemists, Pharmacists, Business delegates and Equipment Manufacturers.